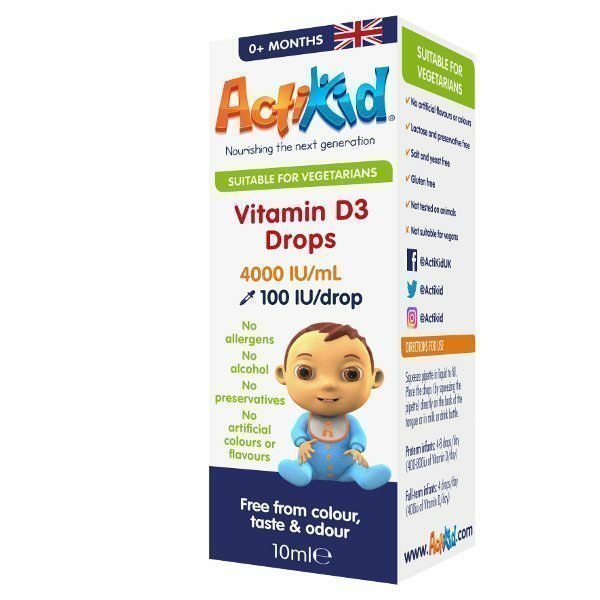 ActiKid® Vitamin D3 Drops provide the UK Department of Health recommended amount of Vitamin D3 for babies and young children in just one drop. 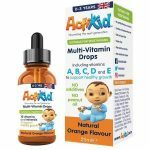 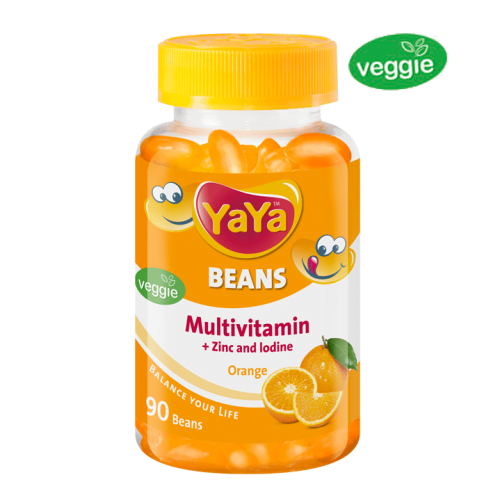 They are formulated to support healthy growth in children from 0 months onwards. 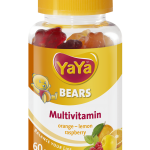 Vitamin D3 helps keep teeth, bones and muscles strong and healthy. Needed for normal growth and development and a functioning immune system in children. 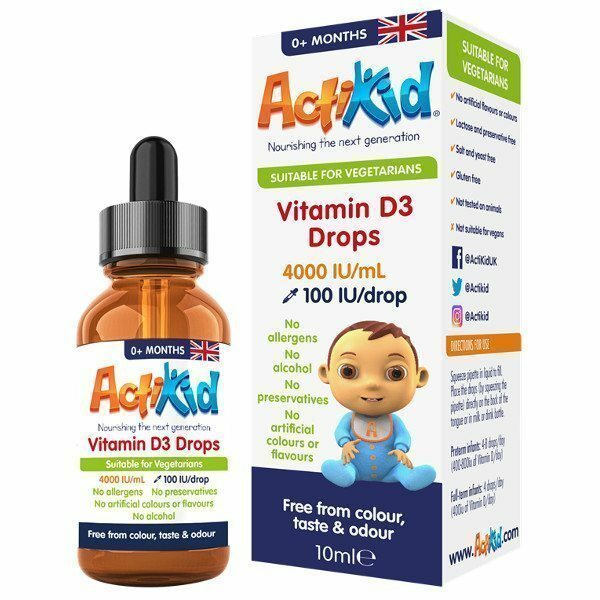 Contains 100iu of vitamin D in just one drop. 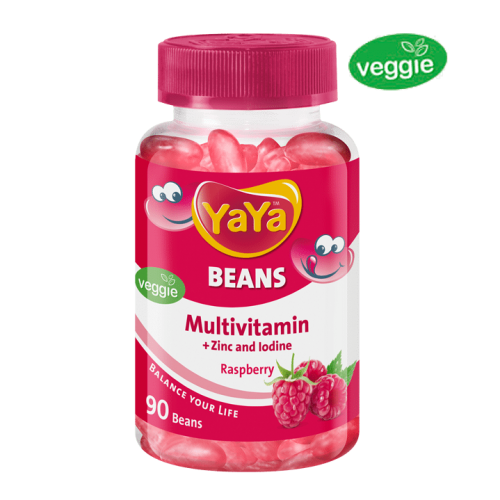 Free from colour, taste and odour. 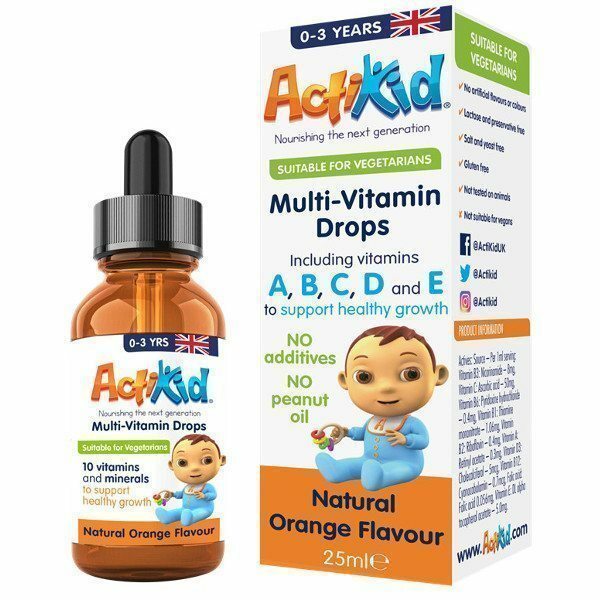 No additives, alcohol, allergens sweeteners, colours, lactose, preservatives, salt, yeast, gluten or peanut oil.